What’s the one thing that all emergencies have in common? That they happen when we least expect them, of course! At The Melbourne Plumber we understand more than most just how catastrophic a plumbing-based emergency can be to your household and that’s why we prioritise this service above all else. 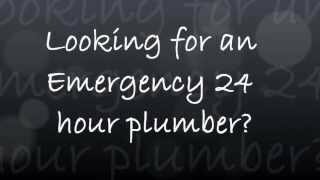 We are proud to provide a 24 hour emergency plumber service 7 days a week, to ensure that your pipes, water systems, waste tank and everything in between are able to return to complete functionality. If you’re facing an urgent situation right now, or if you’re just in the market for an emergency plumbing company should the need arise – you are in the right place. We prioritise you – it really is as simple as that. Wherever you are in Melbourne, as soon as you get in touch with us we’ll do everything we can to schedule an appointment and visit your home as quickly as possible. Once we turn up you’ll appreciate how friendly and considerate we are – in fact, no matter the time of day (or night) we’ll work hard to take care of your emergency. We’ll put a stop to burst pipes, repair any damage, replace any broken parts and ensure that your water systems can enjoy complete functionality from that point onward.